A professional photographer will capture your precious moments throughout the day, without you even realising, and create photographs that you will treasure forever. You need to find a photographer whose style fits in your vision of your wedding-day images and one with whom you feel comfortable. 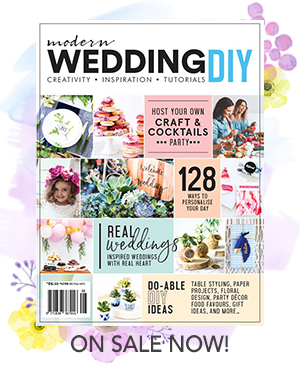 you can get a feel for a photographers style by browsing through photographers in the Modern Wedding Supplier Directory where you’ll be able to see examples of their work and their wedding photography style. Select three or four photographers you feel can achieve the wedding photography you want and make appointments early as some good photographers are booked up to 18 months in advance. It’s important that you and your partner attend the appointment together. If you both like the photographer and feel relaxed in his or her presence, fantastic results are inevitable. Take some questions to ask each photographer you visit. If you need some ideas then take a look at some we prepared earlier in Questions to Ask Your Photographer. Get an impression. First impressions are important and often tell whether a photographer’s style is compatible with your own ideas. If your photographer is familiar with the ceremony and reception venues, they may offer advice on the best places for family snaps and bridal party shots. A pre-wedding or engagement photo shoot is another great way to assess a photographer. You will be able to ascertain whether you like working with them and feel relaxed in their presence as well as seeing how your photographs turn out. Most photographers offer a range of wedding photography packages, and these can be great value for money. However, as each professional photographer’s packages offer different things, comparing pricing can be rather confusing. Check out our guide to Wedding Photography Packages for more information. Lastly we recommend making a list of ‘shots’ that you want from the day. Your photographer won’t know that you want a picture of your wedding dress hanging up in the window or a shot of the sign your Father made for the ceremony unless you tell them. Browse through out Wedding Photography gallery or follow Modern Wedding on Pinterest and look through our must-have wedding shots!